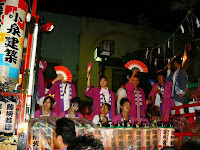 The Matsuri (festival) really ramps up at night. 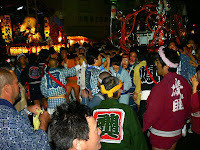 While the children are out and about during the day, the (drunk) adults come out at night. Maaaaan I tell yah... Good fun!